A gorgeous and productive day! I enjoyed another gorgeous and productive day. How could it be otherwise when friends come out to help and cheer you on? 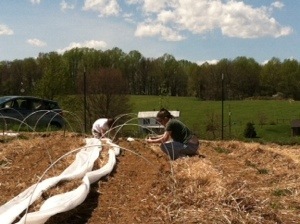 With a lot of excellent help from my friends…6 beds of transplants are in the ground! Many thanks!